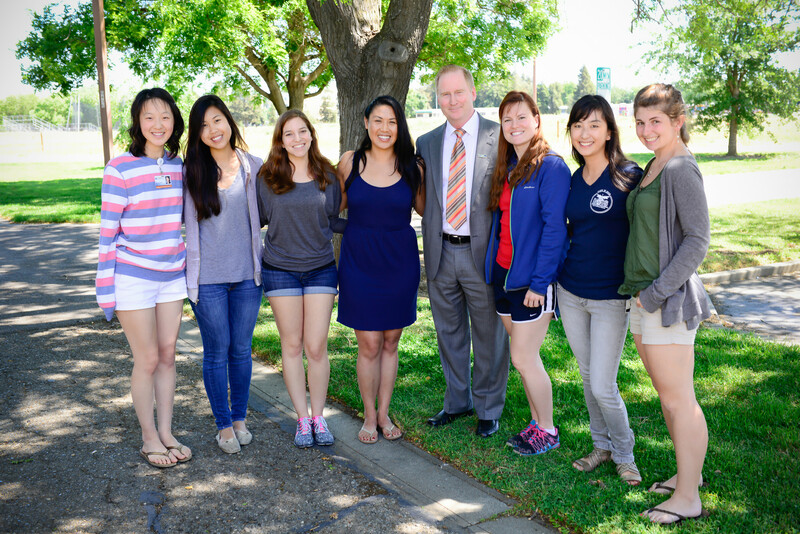 Dean Lairmore with members of SCAVMA. A primary goal in our strategic plan is to educate world leaders in veterinary medicine who will contribute to our society in multiple fields, from private practice to public health. During the most recent American Veterinary Medical Association (AVMA) meeting, I was able to observe the benefits of our leadership training for our veterinary students. The student leaders of our Student Chapter of the American Veterinary Medical Association (SCAVMA) came to the AVMA meeting to network with national leaders, meet students from other schools, and promote the values of professionalism and engagement. While the concept of a national association of Student Chapters of the AVMA was first proposed in 1966, it was the UC Davis School of Veterinary Medicine SAVMA who elected a committee in 1969 that set the framework for the proposed national student association. Our current students have continued this tradition of involvement at the national level by addressing important issues facing students, such as student debt and mental health and wellness.